I just finished my first year of my course of Architectural Technology. I started my course last year from a foundation degree called 'Extended Degree in the Built Environment'. As part of the course we had to design buildings for us to create a portfolio to present in the end of the year, that would determine whether we would pass on the next year or redo the foundation course. When I was designing my building, I had some problems with presenting my work because no one, including the professors, would come to us and tell us how to present our work, and that cost me a lot of marks.I asked a friend of mine who is studying architecture and she have already presented some assignments, and you have to believe when I say this, but I wish I have asked her from last year as presenting your work, in my opinion, is the most important factor in your portfolio. In this year, after I asked my friend how to present my work, I had a killer design to show for my portfolio and got me much better marks than the year before. First of all, a portfolio has to be correctly in place. When you are designing your building, not everyone is going to understand how you came up with the idea, what reason led you to design the building that way and why would you do it that way. It is a way to put your thoughts together so your audience would understand your design. These things matter not only for when you are presenting your work to your professors and university critiques but also when you are applying for a job or an internship in the future. Going to university is your first step to create your portfolio, it's time given to us, the students, that we will not find later, besides you can always show your portfolio to your professors and get feedback on it. And thats why another reason is that it makes your portfolio look better. It is very important for your portfolio to look professional as it is the way you are selling yourself. If your portfolio doesn't look professional that would mean that your work is not professional either, and nobody would hire you. 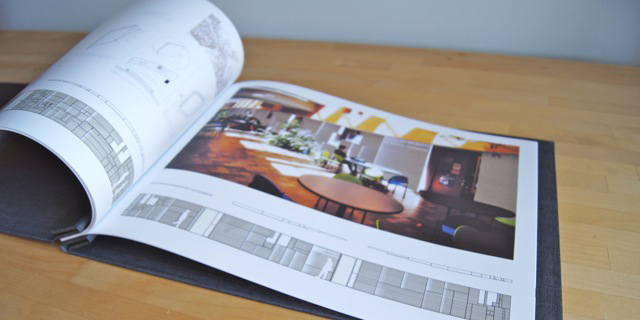 The first part you should present in your portfolio is the Site Investigation. You cannot design a building if you don't have a site to build it on, even if it's an imaginary building. It is important as the space, the shape and how the location of the site will affect your design. A site investigation can be seen differently according to what is your occupation. For example, an architect will see the design on the surrounding buildings and figure out whether he would make his design stand out or blend in with the surroundings of the area, whilst a Geologist will analyse the soil of the site. A site investigation is both these two and many many more. The first thing you should include in your site investigation are the maps. In my projects for my course I included two satellite maps, with scale of 1:50 and 1:100. The scale you are going to include is not always specific, it depends on the area of your site. If it's a big area then you will need to show it in bigger scales, and if it's a smaller area then you will need smaller scales to show them. After you show the satellite maps you need to show surveying maps. Surveying maps can be found on digimaps (http://digimap.edina.ac.uk/) after you have registered. The most important map you are required to show is the map that indicates the usage of the area. 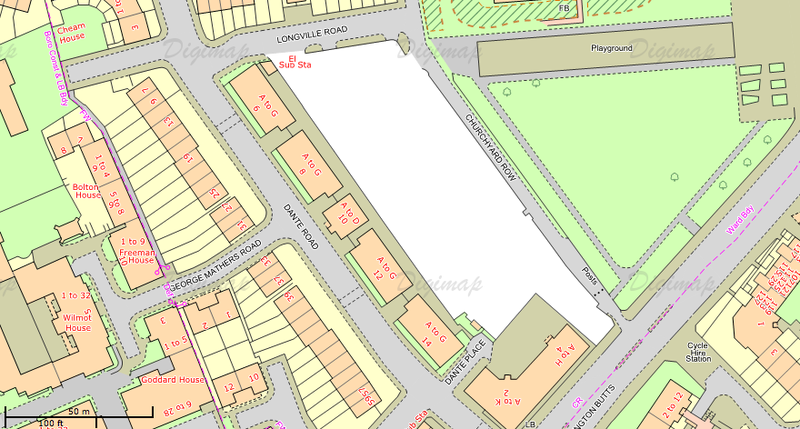 In this map you will note with highlights of different colours what there is around the area you are going to build. Use different colour for domestic buildings, different colour for schools, different colour for shops etc. That way you are showing how good the area is to build on and how it can be used by the occupants of the building. You should also show pictures on your presentation taken of the area you chose. If you cannot find an area to start your design on you can go on google maps and check in the area you want to find your site. If it is a paid work, then an area obviously will be given to you. After finding the area that you desire to design on you should go to see for yourself how it is, and of course take pictures of it. 'A picture says a thousand words' as they say, and it's true. From the picture your audience you are presenting to can see how big it is as if they were there themselves, just by looking on the map will not be clear to your client how big the area is and how big the building that can be put on it can be. A sketch section is a section of the area that you chose including the surroundings. This helps you to show the difference between the height of the buildings around the site. It will help you with the first idea of your building, that is if you want your building to be taller, as high as the other buildings or even shorter according to the surrounding facilities. Well, it's a start, right? To be honest, I am not sure if a precedent research is required when you present to a client, but this post is mainly about building a portfolio or presenting your work as work assignment, and for that it is required to have a precedent research to show. A precedent research is basically your inspiration that led you to your design, you can either chose a building or an architect. If you are going to base your design on a building you need to research about that building, what makes it special and which of those properties you are going to chose to put on your building. If you are going to chose an architect you would like to be inspired from you are going to be required to research his designs, what principles the architect is using to design his buildings. You can include both an architect and a building that you were inspired from. This part is very important as the critiques who are going to see your project will have to see how you came up with your designs. Showing a precedent research shows that you have the potential to research as well as you have some inspirations. There is never been a designer who just came up with his first design, there is always going to be an inspiration, and you need to show that. Be careful, though, you don't want to copy another design. There is a fine line between inspiration and copying and it is very easy to pass that line. After you have found your site that you want to build on and made your precedent research you can start designing your building. A very very important part of showing your ideas is the brief of the idea. In the first critique I presented my work I didn't include a brief in my presentation and that cost me most of the marks. In this part you are describing your idea that you have for your building. That includes the usage of the building, who are the occupants going to be, whether the building is domestic or an office building etc. You are going to refer what you are going to do with the area, e.g. if you include more than one block, if you are going to have a space for the public to use. And of course you are going to refer to your precedent research, how it inspired you and what parts of your inspiration you are going to use on your design. 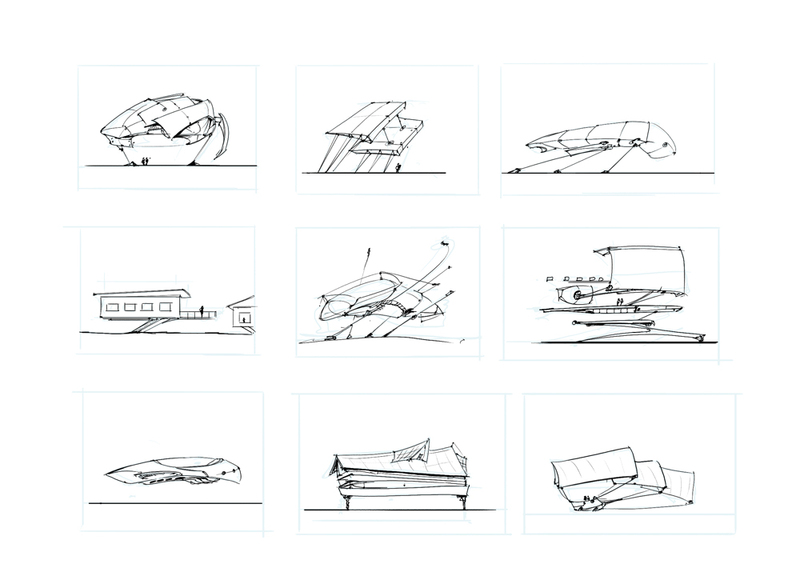 You cannot show how you developed your idea to your final design without sketches. You have to make a lot of sketches that will show to your audience how you got to your design. Be careful, though, if you make a lot of sketches, you don't need to include all of them in your presentation. Imagine if you made around 50 sketches, those would take up a lot of pages and would lose interest on your presentation. If you make that many sketches you are going to have to chose few of them to include in your portfolio, those are going to be the main ones that led you to your design. You are never going to have one final idea. An architect/designer will have lots of final ideas until he is in his completely final conclusion. Few of those 'final designs' that you are going to have you will also make a model of them, sometimes you don't know whether it's your final design or not until you have made a sketch model of it. In my project, I came up with a design, which in my opinion looked good until I made a sketch model of it, after that I thought it was completely weak to be the final idea. You are going to include those models too and explain why those didn't make it to your final design. After the many sketches you make and few sketch models, you will eventually come up with your final idea. In that part you are going to put the final sketch that led you to the final idea. There you are going to explain why this is your final idea and what led you to this design. The drawings are very important, those are the ones who will explain to your audience your design when you are not there to explain it yourself. In the drawings is where you start become more technical. The first drawings are always the floor plans, then you are going to include elevations of your design and of course after that comes the sections of your building. The next few drawings are not required to be drawn by an architect, but they are very important if you are an architectural technician as a technician focuses on the technical side of the design. After the main drawings you are going to include the structural plan, which will show only the walls and columns that take the bearing loads. 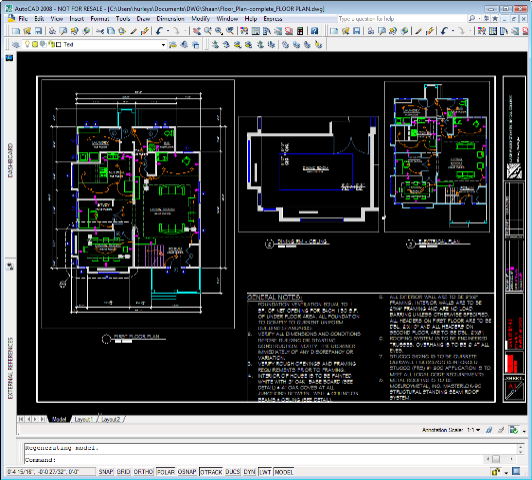 Continuing from the structural floor plans, we come to the section detail drawings. In these drawings you will go deeper in your design and describe more details. In our project for this year we were required to make four section detail drawings but when you are presenting your work to a client, more section details will be required. the party wall junction with the floor and the ceiling. 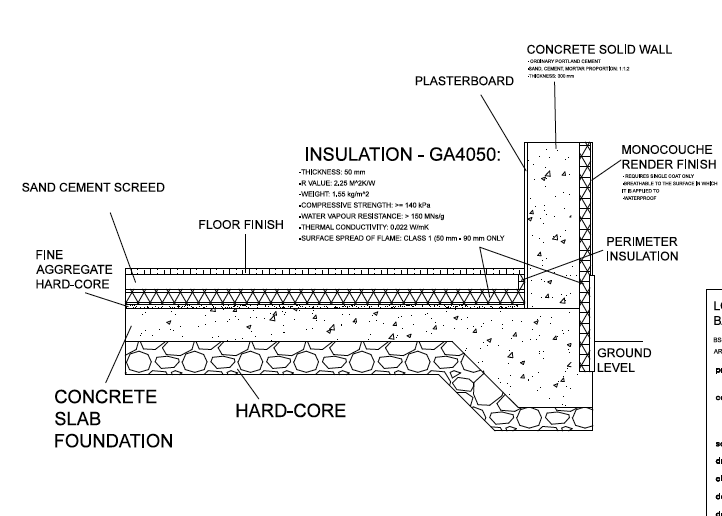 In all these section details you have to include information of the insulation you want to be used in the building, type of concrete, type of floor finish, type of rendering etc. And the last drawing you will be required to show is the site strategy. In this drawing you don't need to design your building in detail, you can just copy paste the external walls into the site map (remember, it has to be on the correct scale). 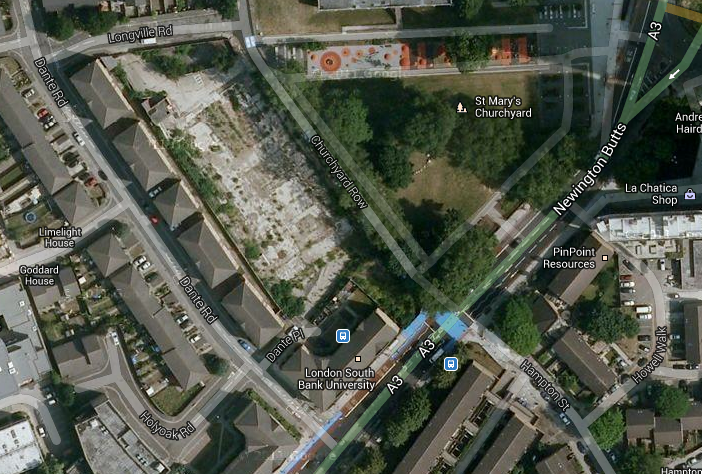 This is to show how the area is going to be used when the building is built and how the site is going to be used. Remember: In all your drawings include name-box, you can get a lot of samples from the internet and AutoCAD itself. They are very important as they give information of who the designer is, who is it for, what the drawing is about, the scale of the drawing etc. After you have finished with the drawings of your design you will be required to make a model. Architects mostly they build their models with materials from the model shops etc. 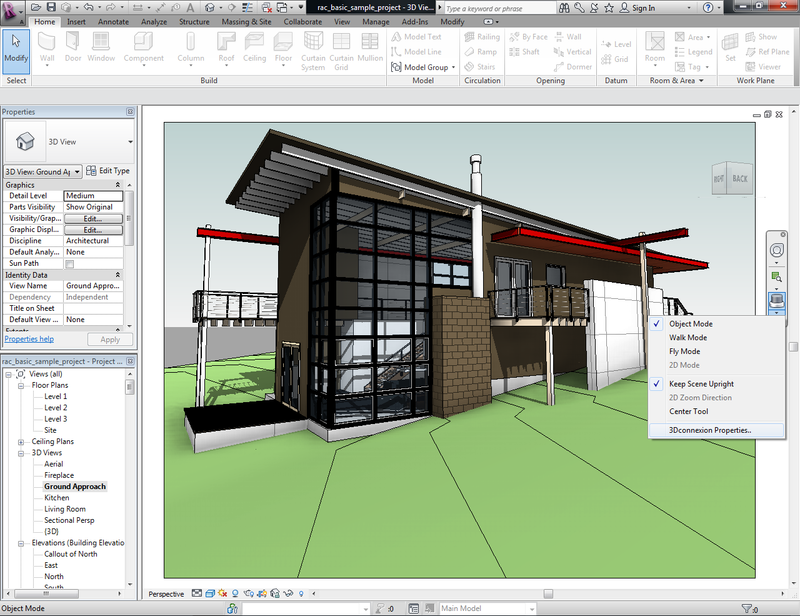 But architectural technicians tend to use mostly BIM (Building Information Modelling), it is a digital model of your building that can be drawn with Autodesk Revit, AutoCAD 3D, SketchUp and many other software. In my opinion, for this type of modelling, Autodesk Revit is the best on this, it is easy to use and it's exactly why this software exists. If you don't know how to use any of these software yet, you will still be required to make a model, therefore you are going to go by the architect's method and build one with materials from an art shop or a model shop. take pictures during the process of making your model, you will be required to show that process of making the model. These five parts are the most important that you have to include in your portfolio. All steps are important to help you show how you came up with your design, how you worked and how your work turned up. If you miss out a step, that can cost you the whole presentation as the critiques ill not be able to tell how you went to the next step. You have to make sure everything is clear to them. More details can be added, but they are not critically required at university. For example, I included light orientation of my building in the four different seasons of the year, or you can include the wind direction throughout the year etc. These will definitely get you extra marks. Note: If your project is a Proposal for Development, it is not required to include a client or a site investigation, wind direction, light orientation and any information that are affected from the location and the site of your project. That is because you are making a proposal of one of your designs to be used in various sites. 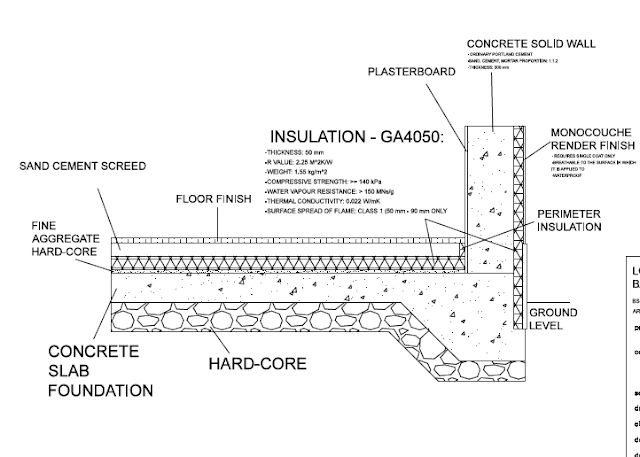 However, you are required to include a brief of your project with all the drawings required. If you are going to be inspired by a design or an architect, it is recommended to include that as part of your brief, not too many words as you don't want to draw attention and make the critiques or viewers compare your design.